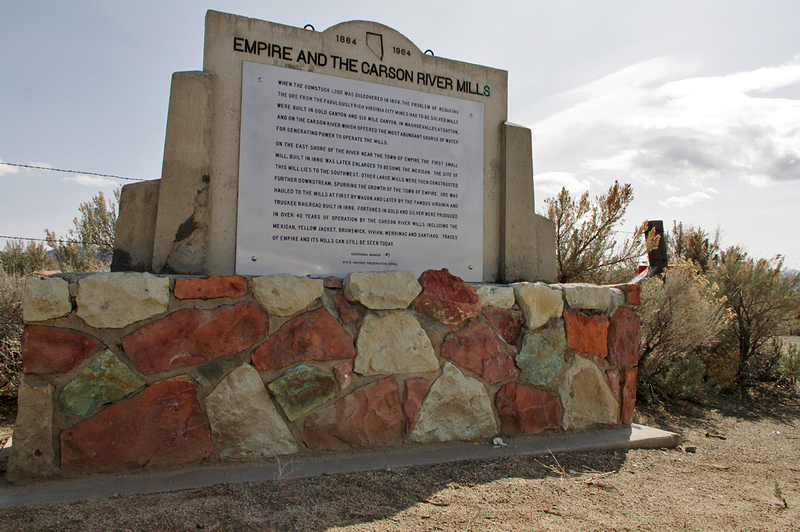 Being the first number within the State Marker System,  -- Empire and Carson River Mills comes with a remarkable push in our state's heritage. 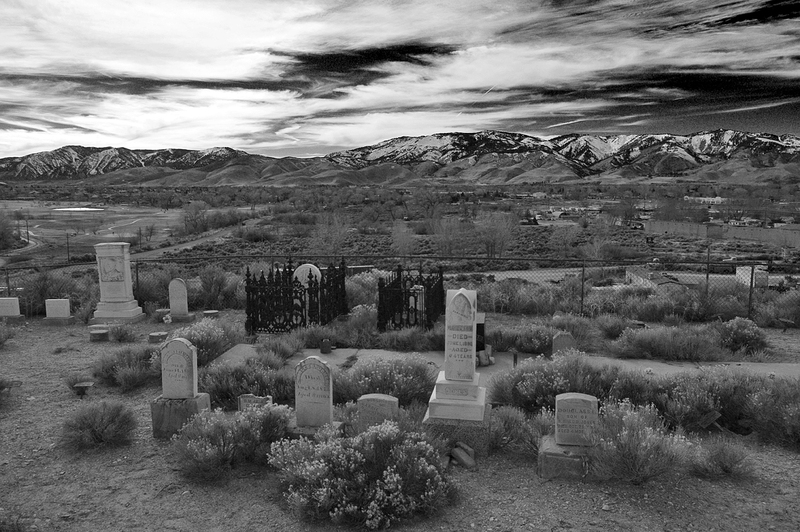 At the beginning of 1990, the Nevada State Historical Marker System was enacted by the State Historical Preservation Office in Carson City, a program honoring selected sites around the State of Nevada with "roadside heritage plaques." It wasn't but two months later, this new program hit a road block and sparked some debate among state lobbyists regarding limited state funds and the need for precious man hours. A zealous appeal by the general public and a fully-funded ten-year contract won enough ground to re-launch the State Marker System and with it, the construction of the Nevada's first state-funded historic marker! The original location for  was set for the Carson River bridge along Deer Run Road, a more historically accurate location approximately 1/2 mile to the southeast near the former site of the Gregory Mill. However, the SHPO deemed it a little out of the way, instead settling on this particular spot along US 50. Despite it being the first marker in the system, this one has somehow lived a docile life. Since its debut,  has seen a number of improvements. In 1995, the mortar within its stone base was replaced, and in 2000, a more modern metal plaque (so often seen by many of the markers around the state) was placed over its original etched lettering against to further protect it against wear and tear. When the Comstock Lode was discovered in 1859, the problem of reducing the ore from the fabulously-rich Virginia City mines had to be solved. Mills were built in Gold Canyon and Six Mile Canyon, in Washoe Valley, at Dayton, and on the Carson River which offered the most abundant source of water for generating power to the mills. On the east shore of the river near the town of Empire the first small mill, built in 1860, was later enlarged to become the Mexican. The site of this mill lies to the southwest. Other large mills were then constructed further downstream, spurring the growth of the town of Empire. Ore was hauled to the mills at first by wagon and later by the famous Virginia and Truckee Railroad built in 1869. Fortunes in gold and silver were produced in over 40 years of operation by the Carson River mills including the Mexican, Yellow Jacket, Brunswick, Vivian, Merrimac and Santiago. Traces of Empire and its mills can still be seen today. Have you been to this marker? Tell us all about it here!